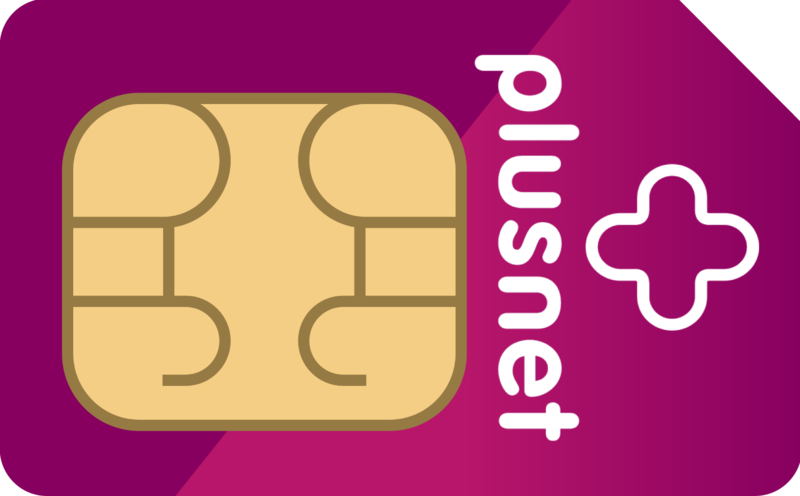 Keep your phone, get the minutes and data you need with a Plusnet SIM only deal. Our quick comparison tool lets you see all the Plusnet deals available on the market right now, both directly with the firm and via other resellers. Powered by EE, Plusnet is a low-cost MVNO with a wide range of plans to suit infrequent users and those who need a lot of data. All of their plans are on 30-day rolling contracts, so you can change your plan whenever you want and there are no tie-ins. Compare and save today. Plusnet Mobile is a low-cost UK mobile network that has been fully owned by British Telecom since 2007. However, Plusnet Mobile continues to act as an independent company. Plusnet Mobile is a piggyback mobile network, meaning that although it offers its own contracts it uses the infrastructure of another network (in this case UK giant EE) to provide service. As a low-cost network, Plusnet Mobile is known for its affordability. Whilst Plusnet Mobile does offer SIM Only contracts, currently, they do not have PAYG options. Because Plusnet Mobile is a low-cost network they don’t offer much in the way of features. If you choose to bundle your home internet service with Plusnet Broadband you will get a discount on your mobile service contract, however. They do also have a referral programme, where you can get a £1.25 discount every month on your mobile bill for each customer you refer to Plusnet Mobile who signs a contract. All customer service with Plusnet Mobile originates in the UK, which for some people could be a bonus. Plusnet Mobile offers a smart cap on their services. This allows you to set a monthly limit of anywhere from £0 to £30, this is the maximum that your account can be charged each month on top of your regular contract price. This helps avoid surprisingly large bills. Do note that Plusnet Mobile regularly run online deals for their contracts, meaning that prices are often discounted. Don’t forget, as we mentioned above, that Plusnet Mobile frequently discount their prices on their website, so getting a cheaper deal is very possible. If you go over the limits for texts, calling, or data on your contract and choose not to add on any extra minutes, texts or data, then you’ll be charged Plusnet Mobile’s regular prices for any service you use. This means paying 40p per minute to regular UK telephone numbers, 12.5p per text message, and £1.50 per MB of data. Do remember though that Plusnet Mobile has bill capping. Once you’ve used up all your contract minutes, texts, and data and all your extra charges reach the limit you have set then you will be notified. This prevents you from spending too much accidentally. Plusnet Mobile does not allow any roll over on their contracts. This means that any minutes, texts, or data that you do not use during your billing period will disappear at the end of that period. Plusnet Mobile uses EE’s network to provide service to their customers. Because EE is the largest UK mobile provider, coverage is excellent. In fact, EE offers 99% coverage across the UK not only for 2G and 3G service, but also for the faster data speeds of 4G service. However, it is important to note that Plusnet Mobile customers do NOT get access to EE’s 4G+ super fast mobile data, nor do they get access to 4G calling or WiFi calling, as regular EE customers do. You’ll need to check the coverage map on either EE’s or Plusnet Mobile’s website to double check that you’ll get coverage in your local area. Tethering means using your phone’s data as a hotspot to connect another device to the internet. Some people choose to do this so that they can go online on their laptop whilst commuting, for example. Though some UK networks do not allow tethering, Plusnet Mobile is not one of them. Plusnet Mobile allows tethering on all their plans, and data used in this way will simply be deducted from your monthly limit as usual. Plusnet Mobile started in late 2016. Are they an MVNO (mobile virtual network operator)? What sort of tariffs do they offer? Plusnet offers SIM only deals. Yes. In fact, the 4G network they use (EE) is the most extensive in the UK. Existing Plusnet customers are eligible for even better rates. These ‘mates rates’ could be anything from cheaper packages or increased data allowances.